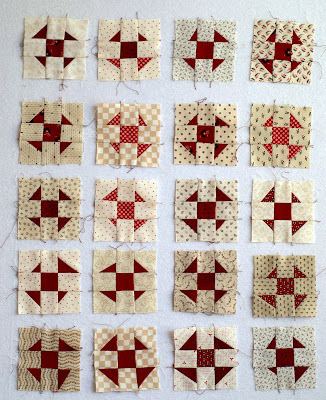 The moment I finished my "leftovers" top I started playing around with some liberated shoo-fly blocks. 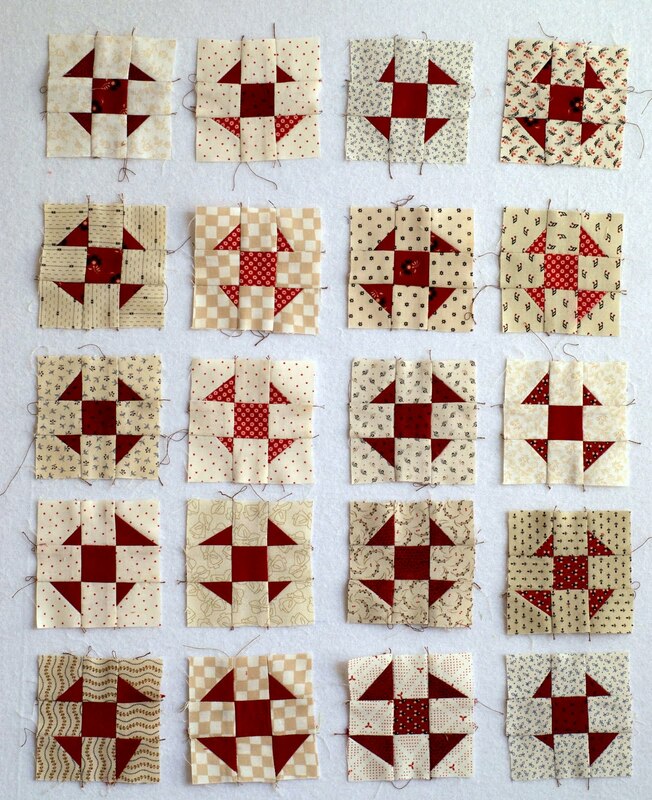 Three inches square, it was fun to work with small pieces again, after the large pieces I quickly put together. grabbing a handful of stash and just getting started without thinking too much about it was fun and very, well, liberating! They're still up on my design wall, a bit unruly and needing to be pressed and trimmed, but I think they're kind of cute, no? kind of cute? no, they are absolutely adorable! i LOVE them!!! These liberated shoe fly blocks are fabulous. What about on point with setting squares? I'm taking a 2 day session with Gwen Marston next May. So excited!